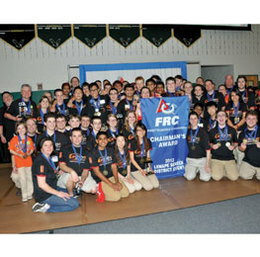 Lenape/Cherokee beat out 30 other teams from the tri-state area to win the regional robotics competition hosted by Seneca. The objective was to build a robot and fire frisbees at designated targets, and the Storm team finished with 1,200 points. Lenape/Cherokee was also awarded the Chairman’s Award, which recognizes the team’s outstanding contributions to the community and the FIRST robotics organization. The 14U youth squad kicked off its spring season by winning the prestigious Jefferson Cup in Williamsburg, Va. The Lightning went undefeated at the tournament, winning three games and tying one. Marlton won a thriller in its final game of the tournament, edging the Richmond Kickers, 4-3. The Eastern High School mock trial team won the Camden County championship at the 31st annual Vincent J. Apruzzese High School Mock Trial Competition, and went on to place in the top six in the state. The team was led by student-attorneys Vivek Shah, Sam Mohr, Chloe Unger and Zach German, while David Galpern, Kyle Kowal, Matt Shapiro, Evan White, Erin Farmer and Max Levin contributed as witnesses. The sixth-grade boys team claimed first place in the South Jersey Basketball League B Division with a remarkable 18-3 record. Team members included Roger Baldacci, Paul Bechtelheimer, Vincent Cianciotti, John Micciche, Jake Logar, Noah Centrone, Aidan Quinn, Seneca Willoughby, Steven Petner Jr. and Christopher Gollotto. The Lenape High School indoor distance medley relay team of Camille Franklin, Ana De las Heras, Carly Pettipaw and Natalia Ocasio is officially the fastest in South Jersey history. The quartet set a South Jersey record of 11:54.63 in the event at the Eastern States Invitational in New York, taking first in a 32-team field. Their time was also the seventh-fastest in New Jersey history. The team of seniors Joe Kiernan and Lauren Brown, sophomore Brett Barbin and freshman Josh Murdy competed at the National History Bowl New Jersey State Championships at Princeton, placing in the top 25 percent and qualifying for the National History Bowl Championships in Arlington, Va. Kiernan finished fourth in the History Bee to qualify for nationals, and Barbin also qualified for nationals in the junior varsity division. The two are also potential contenders for the national geography team, which will compete in Kyoto, Japan, this summer. The Lenape High School chess team capped an undefeated season by winning four straight matches and capturing the state championship for the first time in the history of the district. The team of Mac Tan, Nate Kolo, Michael Rosenbaum, Joyce Li and Charlie Shvartsman also claimed the school’s fourth straight South Jersey Chess Tournament title. Lenape went on to compete at nationals in Nashville, Tenn., taking 12th place out of 45 teams. Both the girls and boys teams at Cherry Hill East brought home South Jersey Group A championships, but they took different paths to the title. The boys team set a school record in the opening event of the championship meet, the 200 medley relay, and rode the momentum to a 98-72 victory over Shawnee. The girls team fell behind early in its final against Atlantic City, but took first in the final three events and stormed back for a 93-77 win. It was the fifth straight South Jersey title for the boys team and the second in a row for the girls. The Shawnee High School boys and girls swim teams rose to the occasion at the season-ending Meet of Champions, breaking several school records. The boys 200 medley relay team of James Elmendorf, Alex Mesisca, Jon Burkett and Bryan Mattingly took first place with a school-record time of 1:35.08. For the girls, the 200 medley relay team of Julianna Foss, Kacie Dunham, Melissa Manuelli and Renee Russo also set a new school mark with a time of 1:51.05. They took 11th place in the event. The Washington Township High School girls basketball team overcame several injuries throughout the season and earned its third straight South Jersey Group IV championship. The Minutemaids defeated county rival Williamstown, 50-38, in the championship game, as Jess Monte scored 14 points, Kylie Giedemann had 13 points and seven rebounds and Kelly Giedemann added 11 points. The ’Maids went on to lose to Rancocas Valley in the state semifinals and ended the season with a 23-7 record. The Haddonfield Memorial boys basketball team captured the Colonial Conference Liberty Division championship this winter, posting a perfect record in division games. The Bulldawgs finished with a 25-4 record and only lost one conference game all season, to Patriot Division champion Paulsboro. Haddonfield won two playoff games and advanced to the South Jersey Group II semifinals before losing to rival Sterling. Camden Catholic High School saw three of its wrestlers win Region 7 championships this year, as Mark McCormick in the 126-pound weight class, T.J. Miller at 145 pounds and Chad Walsh at 152 pounds all won titles by decision. Heavyweight Jeff Miller was a runner-up at regionals and the Irish sent five wrestlers on to states. 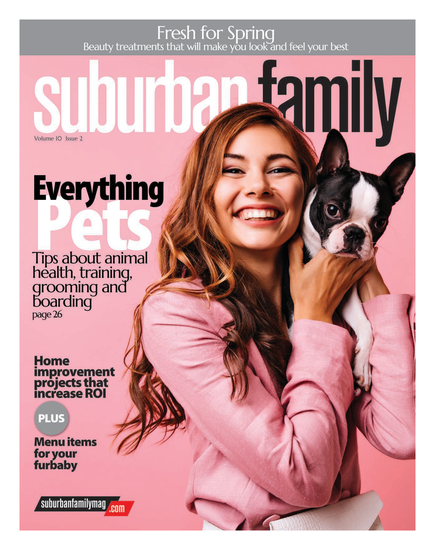 Published (and copyrighted) in Suburban Family Magazine, Volume 4, Issue 2 (April, 2013).